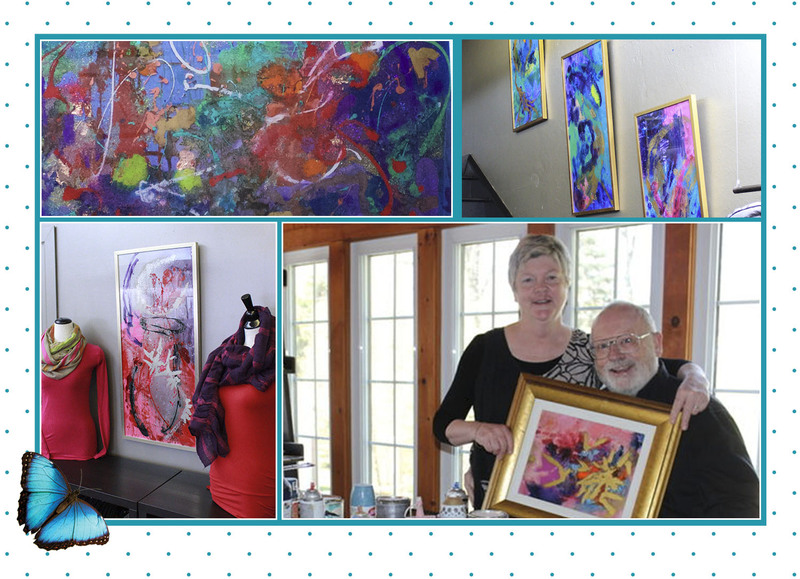 We met David Drum and his wife, Barb Vance, a few years ago and were immediately drawn to their beautiful art pieces. David has been painting for over 60 years throughout New Brunswick, Toronto, New York City and most recently locally at his studio in Crystal Beach. He shares his space with his talented wife, Barb, and together they make gorgeous paintings on glass. Barb also provides custom framing out of their Crystal Beach studio that is both high quality and also affordable. If you have a print or special piece that you would like to frame, give Barb a call and she will be happy to help preserve your memories and art. We have been collecting this art in both our homes and to showcase in the shop and have now begun to sell their works in the store. The next time you are in, take a moment to check out the collection that hangs on our walls as you may find the perfect piece for your own space.